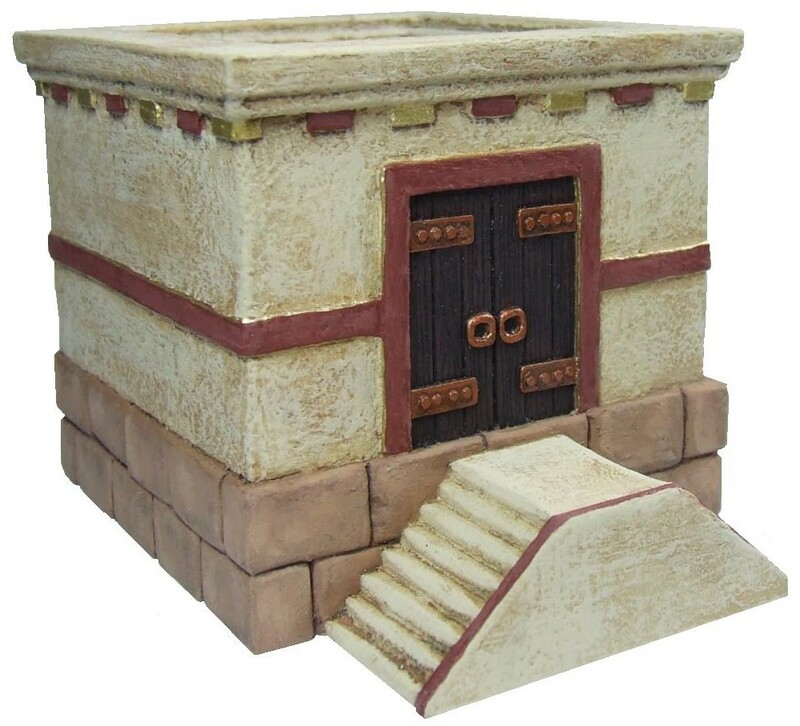 and the cult of Apis has established itself as the dominant religion in Simurgh, they have begun construction on a watch tower to help protect the citizens. 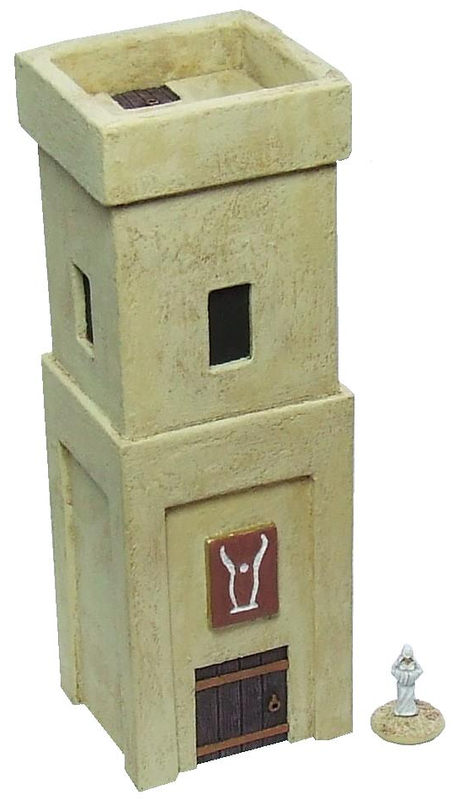 The Tower of Apis stands tall and overlooks the town making sure that everyone knows that Apis watches over them. 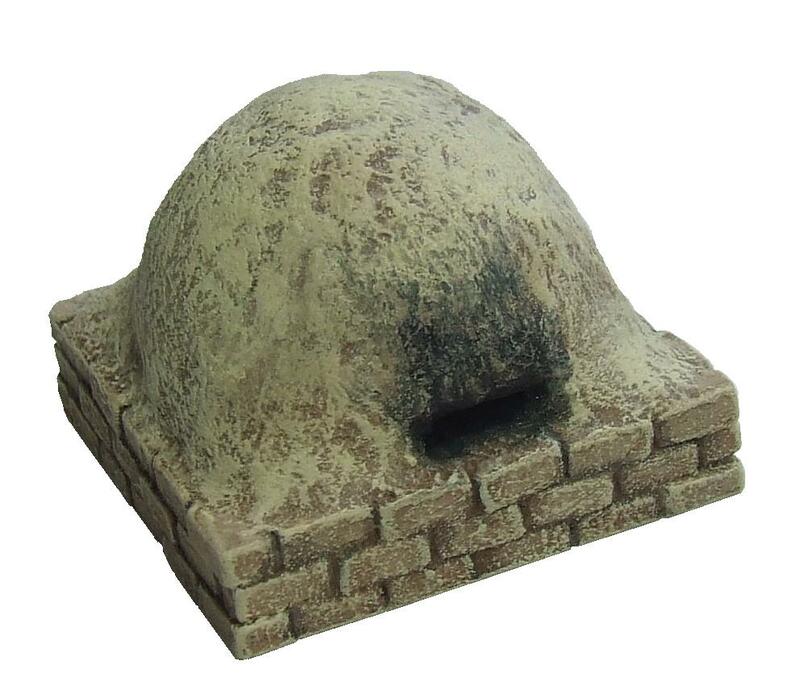 Yes, the most exciting release ever since the world renown oven..
Upgrade your town with these ultra exciting scatter items. Good as cover, boosting heroes skills with invigorating wine, a hiding place for urchins and thieves, maybe even full of snakes to add extra peril to the day! 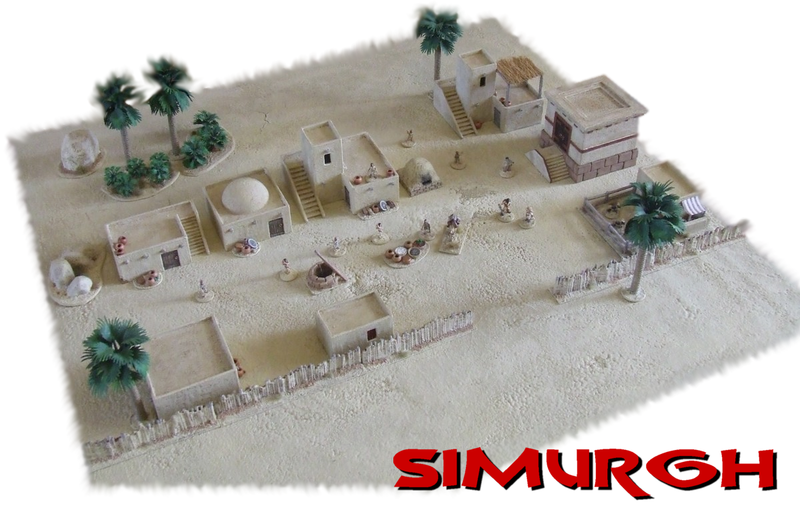 The town of Simurgh has never felt so blessed! 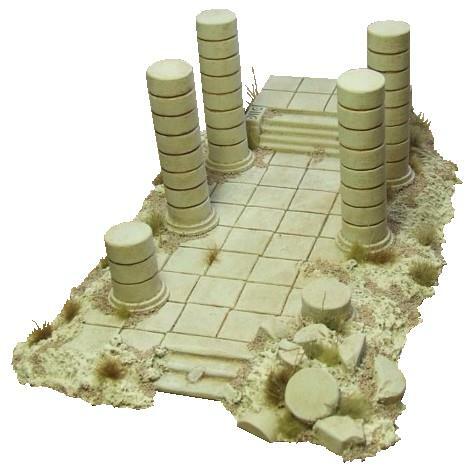 To complement the recent figure releases in the Heroes and Villains range I have made for your gaming delight, a ruined temple for nefarious magic types to summon all manner of bad stuff to try and thwart our plucky heroes! 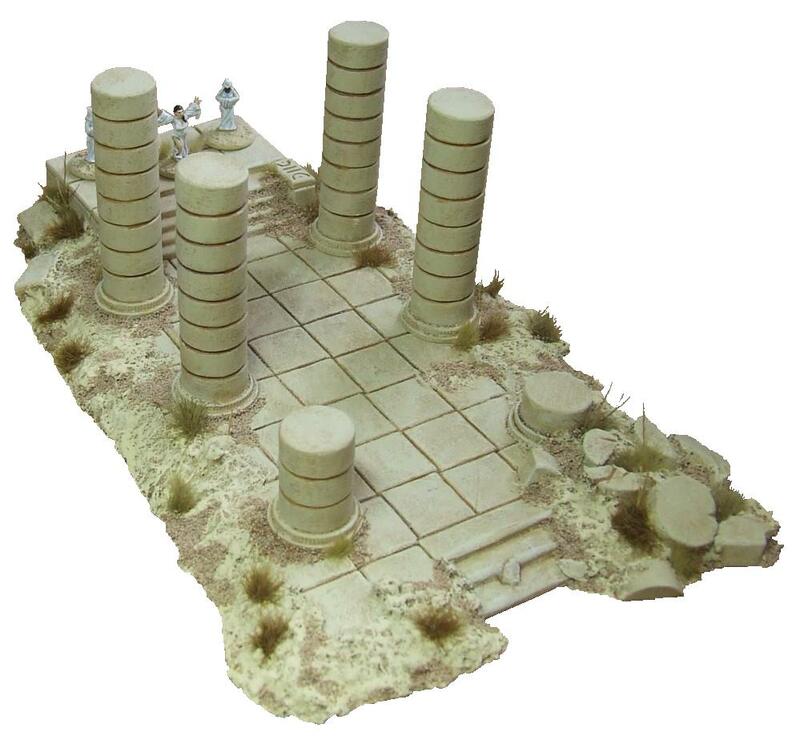 This is a six part model comprising of the temple floor and five separate columns. As you can see from the above image it is quite a large piece, measuring about 120mm wide x 200mm long x 70mm high. 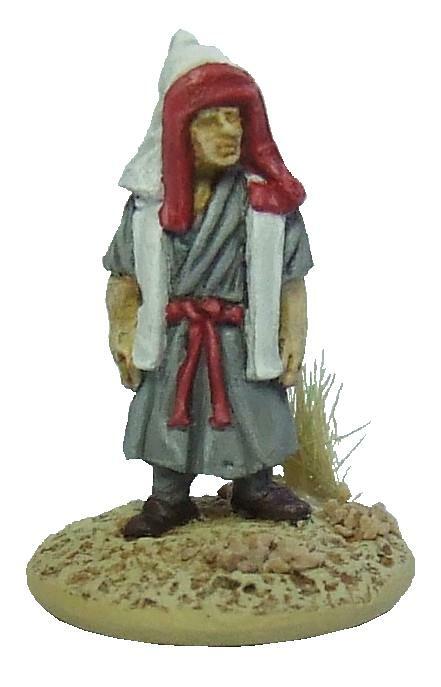 After starting Crom's Anvil earlier this year and having a couple of dozen of terrain/scenery items already released, I decided the world needs more 15mm character models for skirmish games! 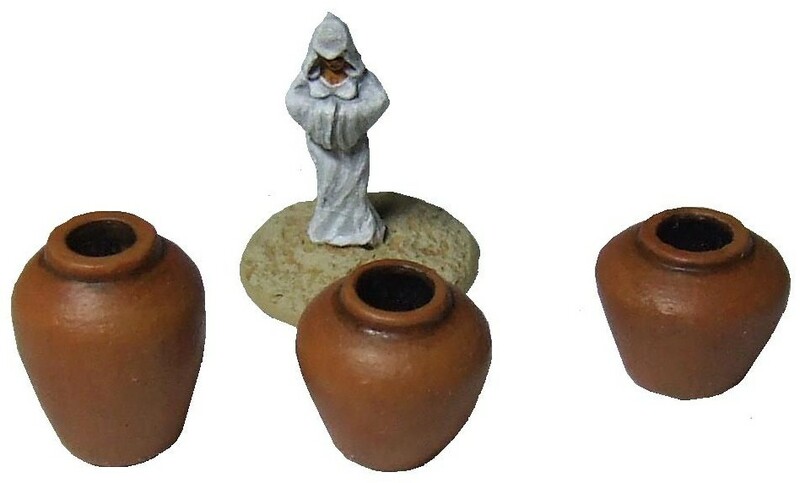 So to test the waters and see how these things go, I present the humble beginnings of the Heroes and Villains range, this initial offering has a distinct religious flavour about it. All available to buy as single models, so there is no need to buy lots of various packs just to get a single figure from each. 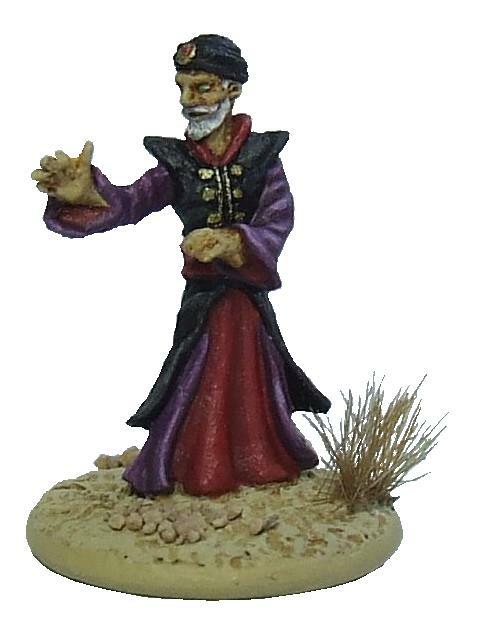 I am also having Dave the sculptor take a crack at making some figures to fit in with the style of current other companies models, to fill gaps in their ranges. But copying another sculptors style is tricky at best, so this may not pan out, but woohoo if it does. 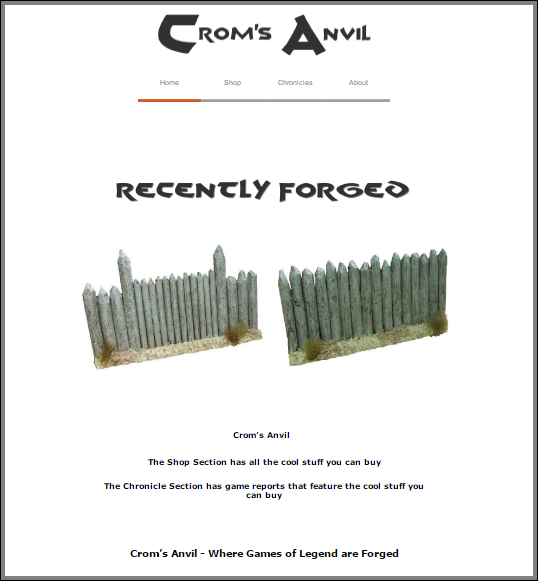 After getting some feedback from the gaming public it seems that Crom's Anvil was confusing for many. It was not clear enough what there was to buy and in some cases how to buy it. So, I have re-forged the site and hopefully it is a bit more conventional and thus easier to use! !